Unique tube column and tube cover safeguard staff and patients from exposed electrical wires. Rounded corners prevent hip-level bruising common to veterinary technicians. Make image adjustments and diagnoses on the spot so you can treat patients and inform clients in record-time. 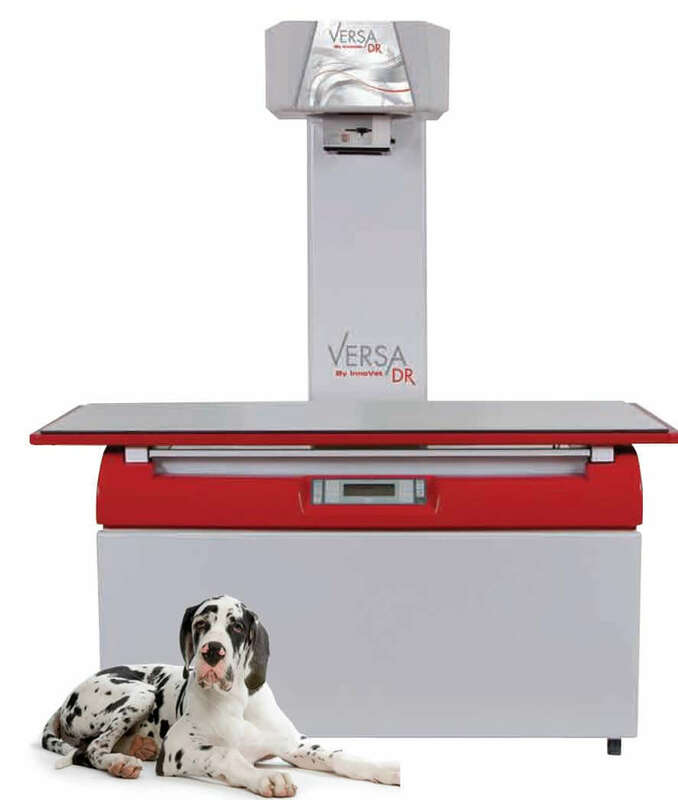 The stationary top Versa DR system has only a 34” x 81” footprint - that is 20% smaller than previous x-ray systems. An intuitive graphical interface offers point and click functionality for speedy image selection.when integrated with practice management software, patient studies may be pre-loaded within the patient record. Versa DR is a fully integrated digital imaging solution. If does not rely on cassettes or cassette readers that are easily contaminated and wasteful.